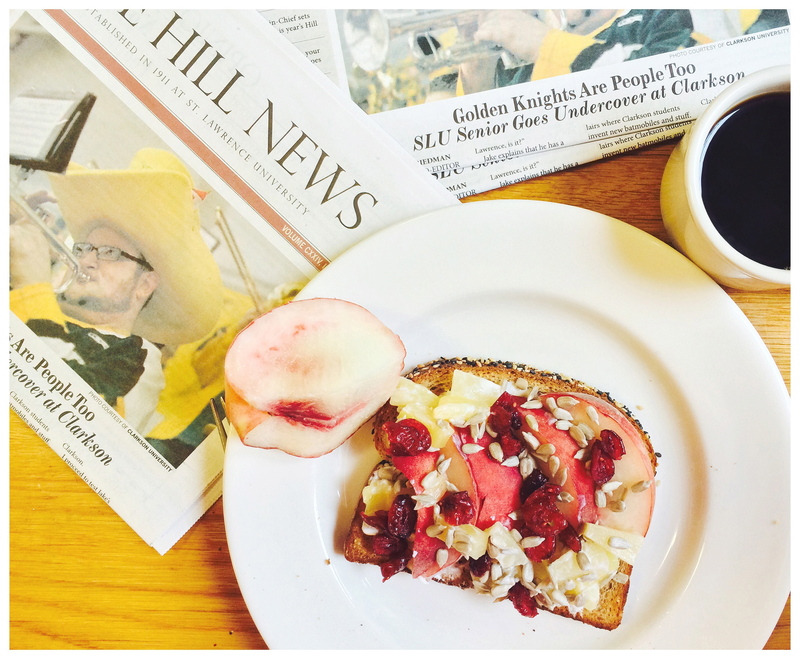 Fall has officially hit the North Country and what better way to enjoy this 50 degree day than to cuddle up with some Jamaican Me Crazy coffee, a fresh locally grown nectarine and a killer first issue of The Hill News! As a consistent News writer since the second I stepped onto the St. Lawrence campus along with being this year’s Features Co-Editor with my friend, Olivia White, I can assure you that this issue is worth the read. This week I have published a piece titled “Effective Multitasking is an Oxymoron”, a literary journalist story in which I analyzed how many students are too confident in their ability to multitask when in fact only 2.5 percent of the human population can actually process tasks simultaneously. Through a phone interview with MIT Neuroscience Professor Earl Miller along with an interview with my best friend, Katie Prue, I compiled great detail and proof that those of you who think you are champion multitaskers should think twice. Check it out! Nothing beats cuddling up on a brisk Fall Friday afternoon with a nice read, friends and a yummy Autumn snack like this! Toast bread, dollop with yogurt and drizzle with honey. Cut up a fresh nectarine and top toast with nectarine pieces, pineapple chunks, craisins and sunflower seeds for a satisfying Autumn snack! Bon appétit!